Move in ready! This home includes a finished basement with a rec room, flex room, bedroom and bathroom with plenty of storage. And it BACKS TO OPEN SPACE! Too many upgrades to list include bay windows, 10 ceilings, the amazing Deluxe Bath 2 with its spa like shower, extended cabinets in the gourmet kitchen, coffered ceilings, cabs and sink in the laundry, and more. Interior finishes include Java cabinets, Monte Cristo slab granite, extensive 5 hickory hardwoods and more Cobblestone Ranch is a master planned community with a community pool, tennis courts, and abundant outdoor recreation. 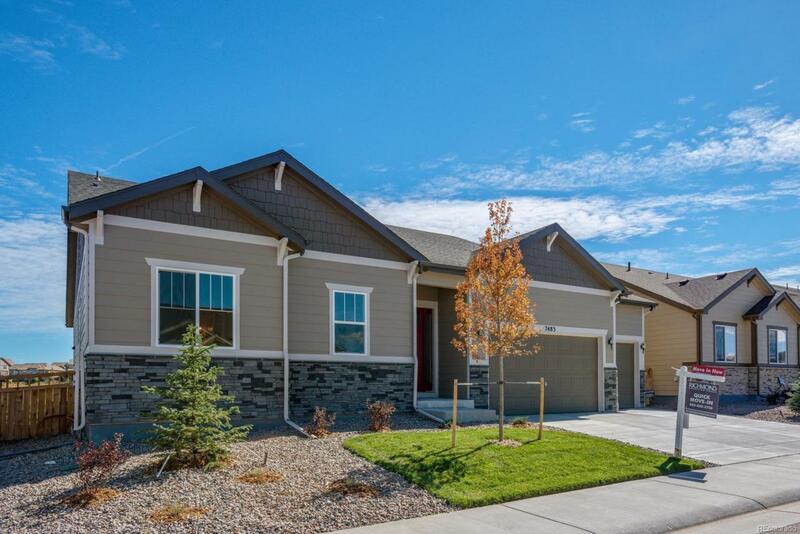 Convenient access to I-25, Parker, and Downtown Castle Rock.